Schools of the Future Look More Like Starbucks…. Schools of the future look much different than the schools we have today. Think about a Starbucks, comfortable, collaborative and engaging. Technology becomes the enabler of personalized, paced and student centric learning. This is not the school we attended. The needs of students have changed, and so have the tools we now have to engage them. We know that students learn in many different ways – and the current 1 on 30 model of educational delivery with one teacher, 30 textbooks does not enable a personalized learning experience. 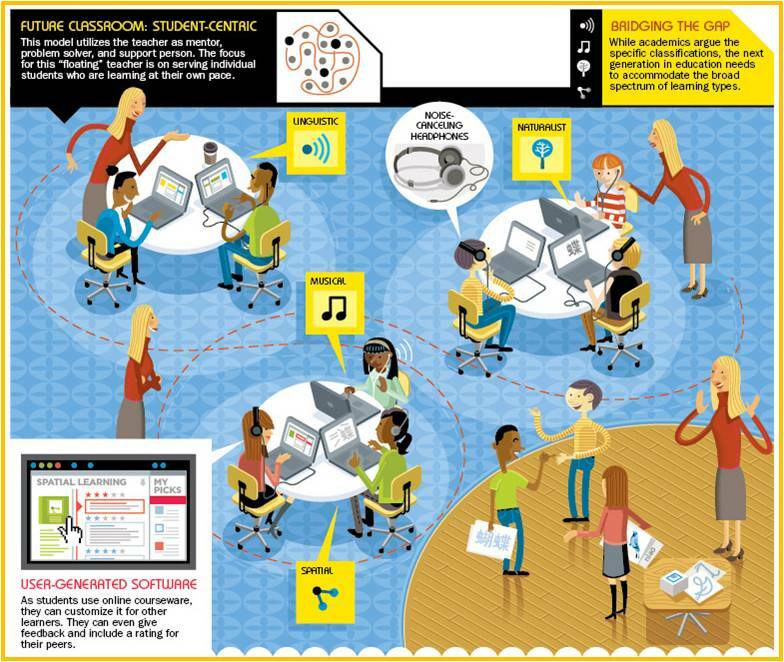 So, imagine this learning environment – laptops, online curriculum and assessment, a real time online student tutor AND teacher in the classroom (oh and the classroom is comfortable and collaborative). As curriculum and assessment shift to online delivery for standards based content, teachers become relieved of manually “inventing lesson plans and correcting homework” – so they have more time. Students become enabled to move at their own pace to master content – not forced to follow the one size fits all the pace of the class. Students, parents and teachers have real time assessments – to track progress and implement remediation. So think of the student centric learning environment as “personalized, paced, relevant and adaptive”. Web based curriculum 2.0 is coming – and it will be rich, relevant, real time and engaging – not to mention multi lingual and have a smartness to remediation. Learning environments of the future will give teachers more time with students – so the new ratio becomes “time per student” not “teacher per student”. To learn more, see: Schools of the Future, watch Sir Ken Robinson RSA Animation, Listen to Harvard Professor Clayton Christiansen and read his book Disrupting Class. View Engaging, Empowering, and Educating All Students For the 21st Century! This entry was posted in Transformation and tagged Education, Educators, K through 12, Learning, School, Student, Student Centric, Transformation. Bookmark the permalink.